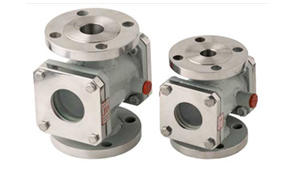 KHD Valves Automation Pvt Ltd is a High Quality Sight Glass Manufacturer in Mumbai, Maharashtra, India. We are a leading manufacturer of Sight Glass in Mumbai and nearby areas. Our Sight Glass are manufactured according to International ASTM ANSI Standards, ASTM API Standards, ASTM DIN Standards in India. Mail us for Easy and Quick Quotes at Factory Prices. A Sight Glass is a translucent glass tube or window installed in a tank or boiler system that allows a person to observe happenings inside the container, to ensure optimum quality and safety. Sight glasses can also serve a number of functions other than basic viewing, but this is the most common use. Full View Sight Glasses are assembled with tubular glass, and are used for checking flow from any direction where various Valves or pumps might have to be operated. 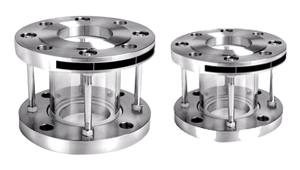 Double Window Sight Glass is a device installed into a pipe to provide a visual of verifying liquid flow for direction and accurate flow rate. We supply a wide range of precisely engineered Sight Glass, made in compliance with international quality and grade standards. Our Sight Glass are used for controlling the viewing flow, pressure and liquid levels. The most well-known application of sight glasses is for observing fluids, since all companies must monitor fluids to ensure optimum quality and safety, Everything from petrochemical industries to craft breweries work with liquids. This makes sight glasses very important components to ensure that operations run smoothly and safely. Liquid level gauges, another form of sight glass, is often used in industries with storage tanks or containment systems designed to mix or ferment. KHD Valves Automation Pvt Ltd are suppliers, dealers, exporters and manufacturers of Sight Glass in India. Our high-grade range of Sight Glass is perfectly designed for Utilities and power, Pharmaceuticals, Food and beverage, Biofuels, Wastewater treatment and management and chemical/petrochemical, etc. These are designed and developed in accordance with the international quality standards. Sight Glass that are precisely engineered using the prime quality raw material. We offer customized Sight Glass as per the requirements of the clients. Sight glasses and Sight Glass windows, as mentioned above, are most commonly used in industries that use pressurized systems; steam boilers and steam generators are found in a wide variety of industries, such as utilities and power generation, cement production, food and beverage, and dry cleaning. All processes that require pressurized systems or vaporization use Sight Glass windows in some manner for monitoring liquids to ensure optimal safety. Boiler systems also use a more specialized type of sight glass, called boiler sight glass, to monitor the pressure within. Industries that utilize heat or heat transfer make use of sight glasses; many of the heating systems in these applications contain a viewport to ensure the system is functioning properly. In these case, the operators certainly can’t look directly inside the heating system to make sure the pilot lights or heating elements are still working, which is why the viewport is such a critical component in the overall system. Surface finish Sanitary polish, Ra ≤ 0,8 μm. It allows an easy observation and inspection of the product flow in the food-processing, cosmetics, pharmaceutical and fine chemicals industries. KHD Valves Automation Pvt Ltd is the best in business and world Leading dealers of Sight Glass. KHD Valves Automation Pvt Ltd Sight Glass offer all the proven design attributes of standard 2-way Valves and are available in a wide range.